If you’ve followed me for a few years you’ll know that in my previous life (before kids) my career was very much anchored in the craft industry and I was involved in editing some pretty fab craft magazines which you’ll still find on the newsstand today. 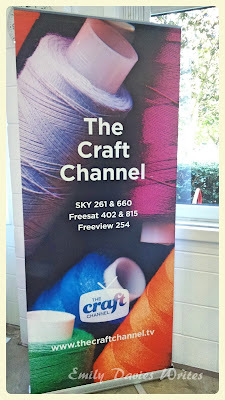 So, always keeping a finger on the crafty pulse, I was pretty excited to be asked to attend the press launch of new, aptly named, craft TV shopping channel, The Craft Channel. 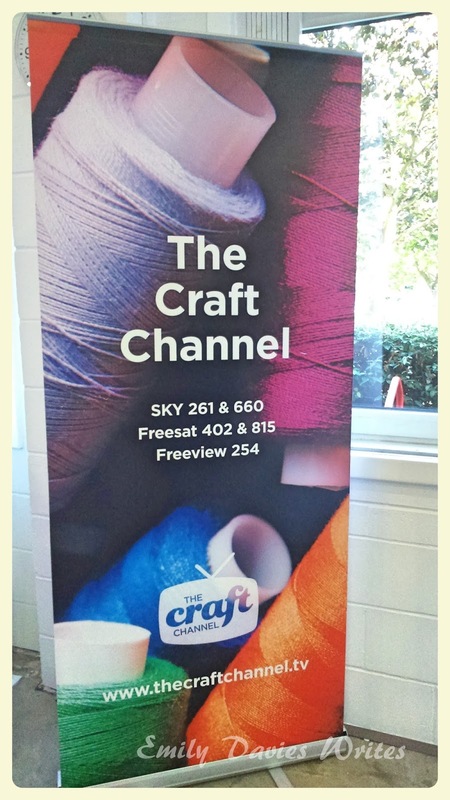 Hidden on an industrial estate in West London you’ll find The Craft Channel studios which have been given a new lease of life, painted hot pink and were decorated with balloons and flowers, ready for the arrival of many craft industry veterans. 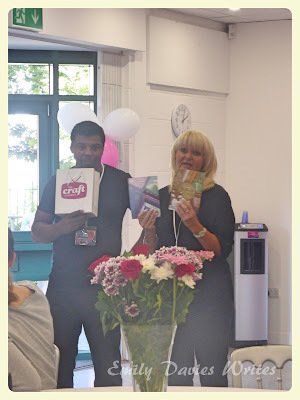 I got to meet some fab bloggers, editors and journalists as we all gathered to celebrate this launch and it really was a fantastic day out. Watching a show being filmed! 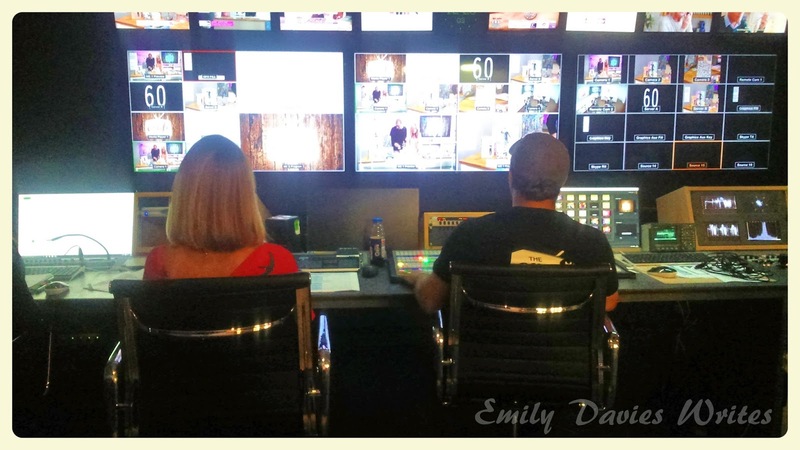 So interesting to see behind the scenes! We were given a tour of the studios, watched a show being filmed and got to mingle with the craft industry’s finest. I loved meeting the next generation of craft journalists who have now replaced me in my old job at Aceville Publications, as well as Editor of Mollie Makes – Lara Watson (I’m a long time fan), and editor of Die Cutting Essentials, Becky Higgins. It was also so lovely to meet Amanda of Ginger Mum fame and Anthea of Zing Zing Tree – bloggers who were there doing what they do best and raising the profile of the blogging industry. Dawn Bibby & Julian Ballantyne showing off the goodie bags! The Craft Channel will not only be selling all of your latest craft products – covering papercraft, jewellery making, scrapbooking, chocolate making, baking and food – but it will be providing loads of demonstrations, informative talks, interviews and magazine style chat shows full of your favourite craft celebrities – including Queen of papercraft, Dawn Bibby, the Crafty Beggars, Julie Peasgood and Wendy Turner and if you've ever tuned into a shopping channel you'll probably recognise Debbie Greenwood and Julian Ballantyne! 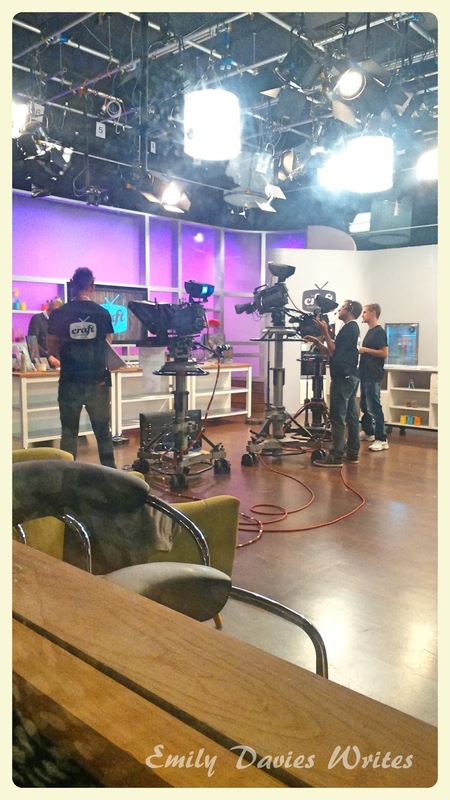 The channel launched this morning on channels Sky 261 & 660, FreeSat 402 & 815 & FreeView 254. If you’re the type of person whose house is full of scrapbooking paper, unfinished projects and crafty gizmos that your non-crafty friends just don't understand then I think you’ll love this new venture and I hope they fill that gap in the market that takes crafts to the masses and shows people what a fantastic hobby it can be. Check it out at thecraftchannel.tv.